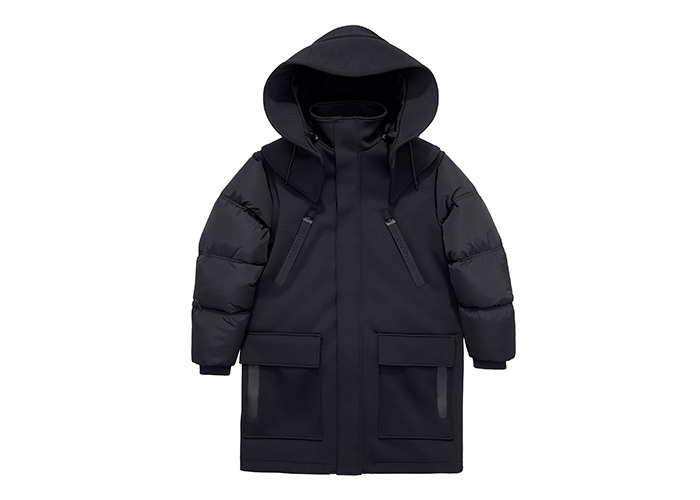 The Alexander Wang x H&M men’s collection consists of 23 pieces of garments plus accessories and a line of everyday objects. 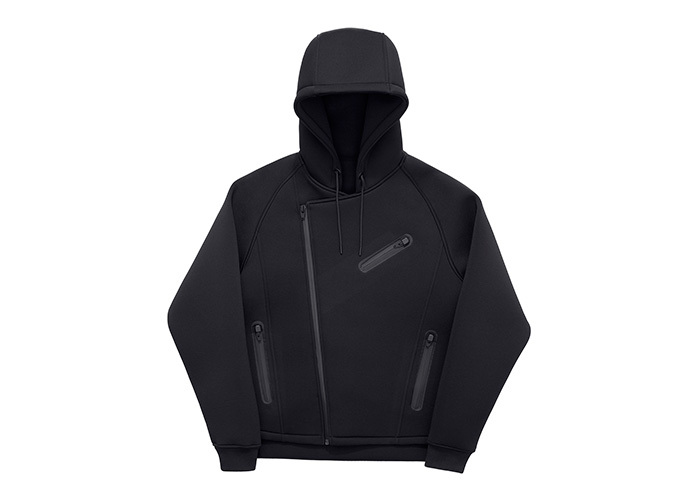 The collection features technical outwear, essentials (hoodies, sweatshirts and knits), athletic performance wear and accessories (sneakers, bags, scuba gloves, jacquard beanies and graphic branded compression socks). So many men’s pieces I want, so good right?! 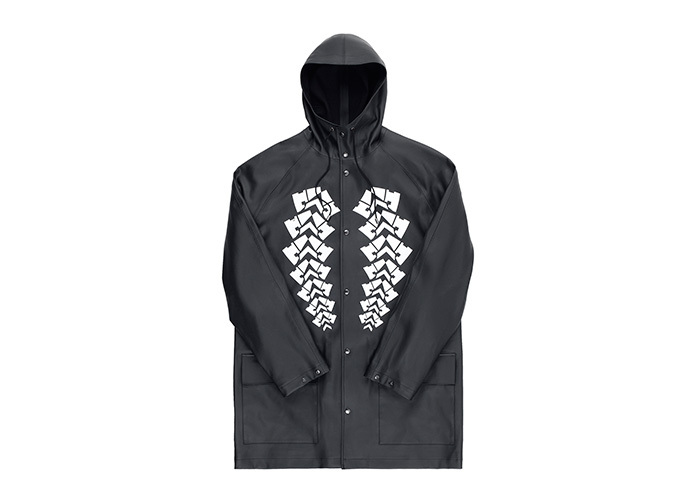 Check out the complete men’s collection below. What’s your must-have? 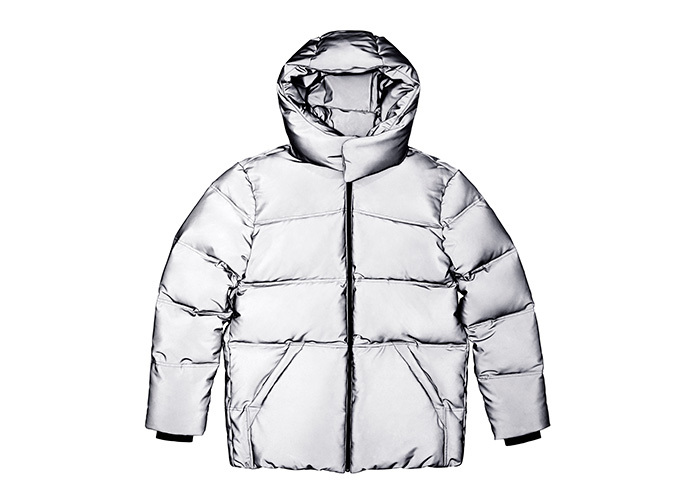 Beat winter in a reflective silver down jacket with a hood and side ventilation zips, or a black hooded parka with WANG branded black-on-black webbing zipper pulls. 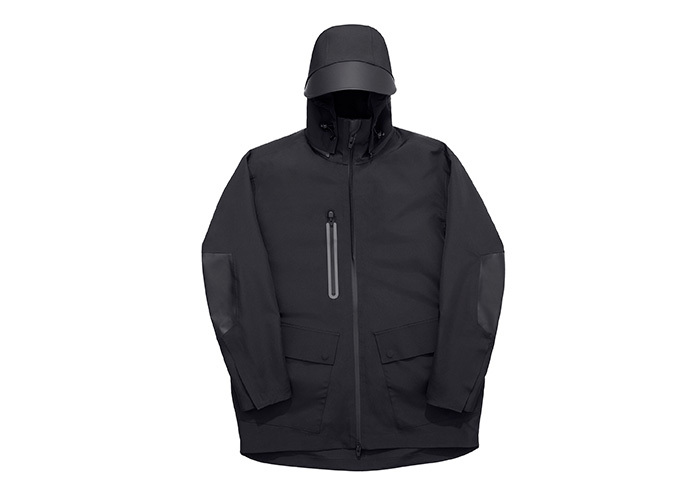 There’s also a water-resistant black windbreaker with bonded seam construction, a removable interior vest and with a moulded hood that’s curved like a baseball cap. 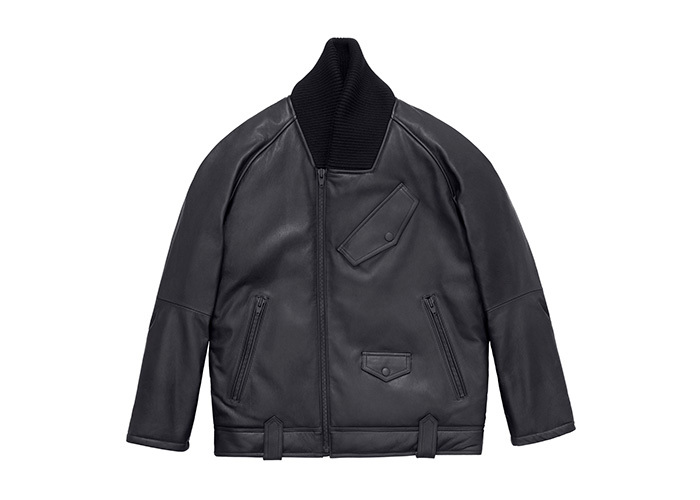 Additional styles include a black leather motorcycle jacket with a nylon puffer back, as well as a black hooded motorcycle jacket in scuba with embossed elbows patches. 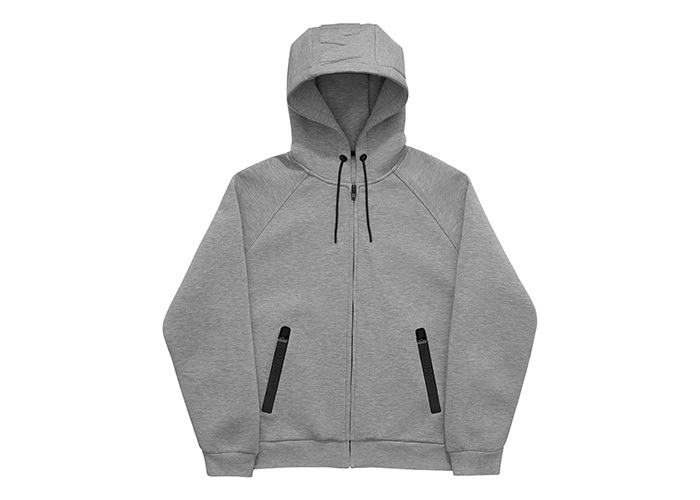 Hoodies, sweatshirts and knits are urban wardrobe essentials, such as a hoodie with webbing zipper pulls in black or grey melange, and a sweatshirt in black and grey melange with embossed branding. Fine knits come with a graphic pattern in black, while the knit sleeves of a hoodie have a foam injected crocodile pattern. These everyday basics look great for the city streets with carrot-fit five pocket pants with storm-sealed zipper detailing, or black scuba motorcycle pants.